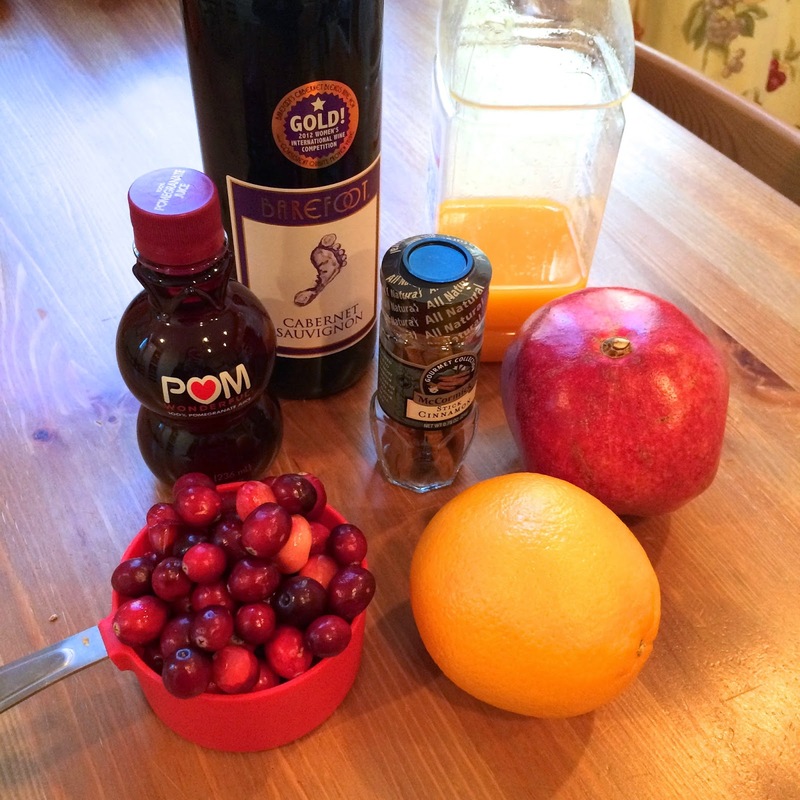 As promised, my Thanksgiving Sangria recipe :D This is the easiest and best tasting red wine Sangria I have ever made. No exaggeration! 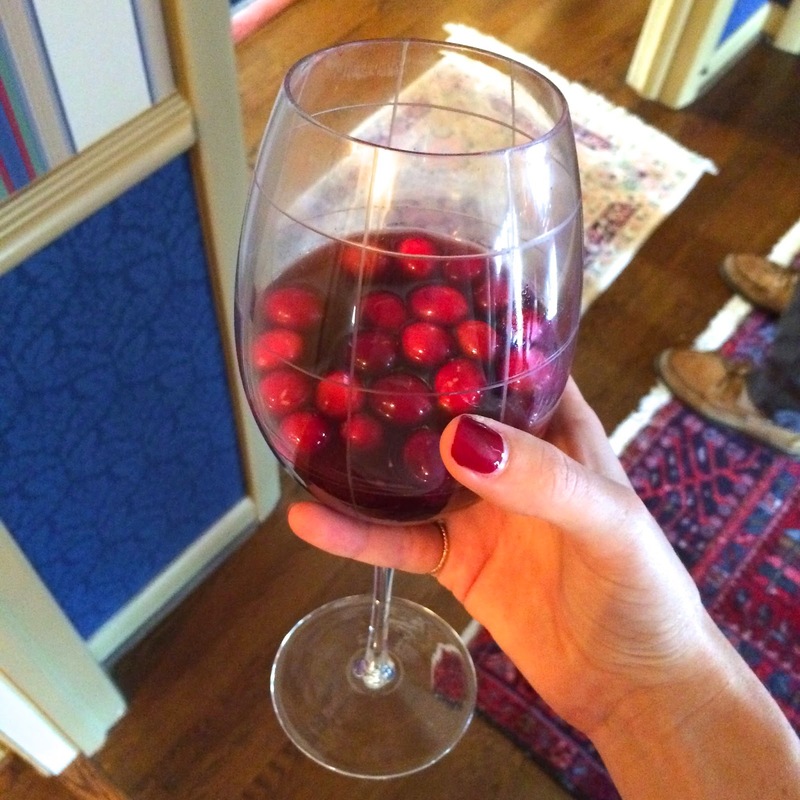 I especially love that there's no sugar added… just fruit juice to sweeten it up! 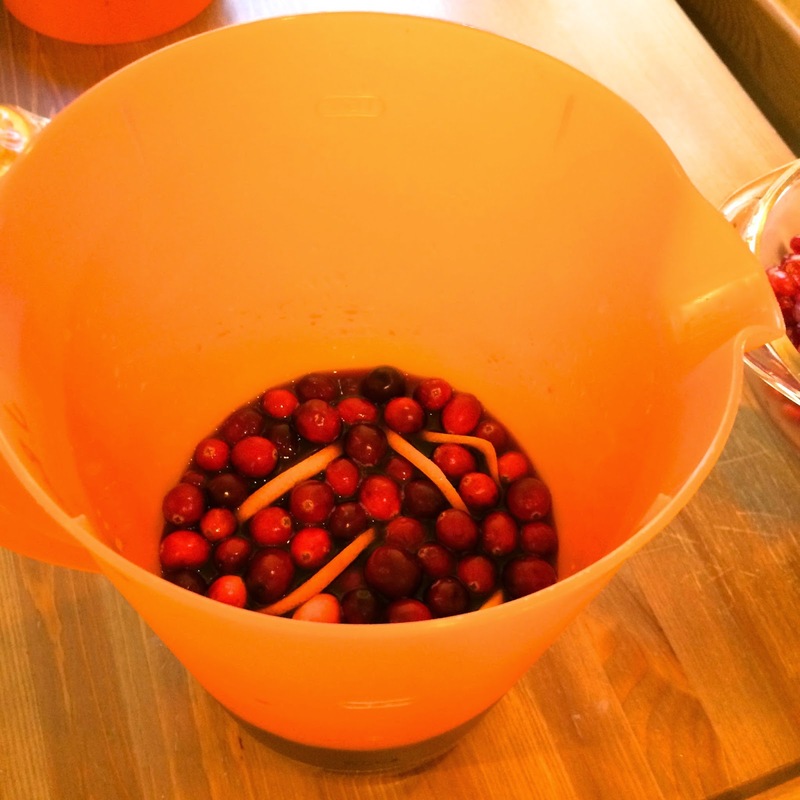 Combine all ingredients the day before serving so that the fruit and liquor will absorb each other! 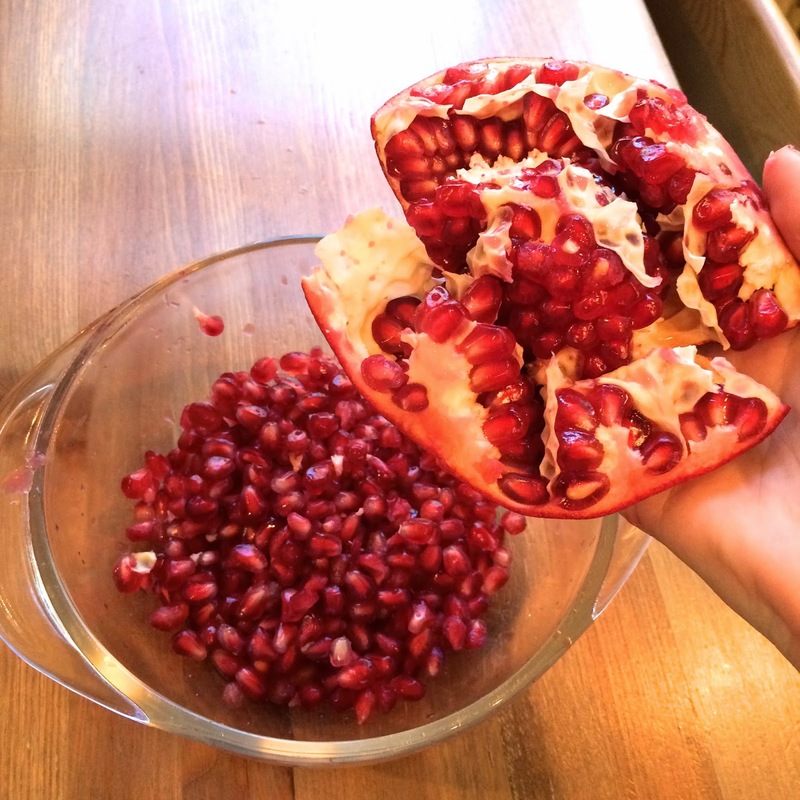 After you cut the pomegranate try to "turn it inside out". 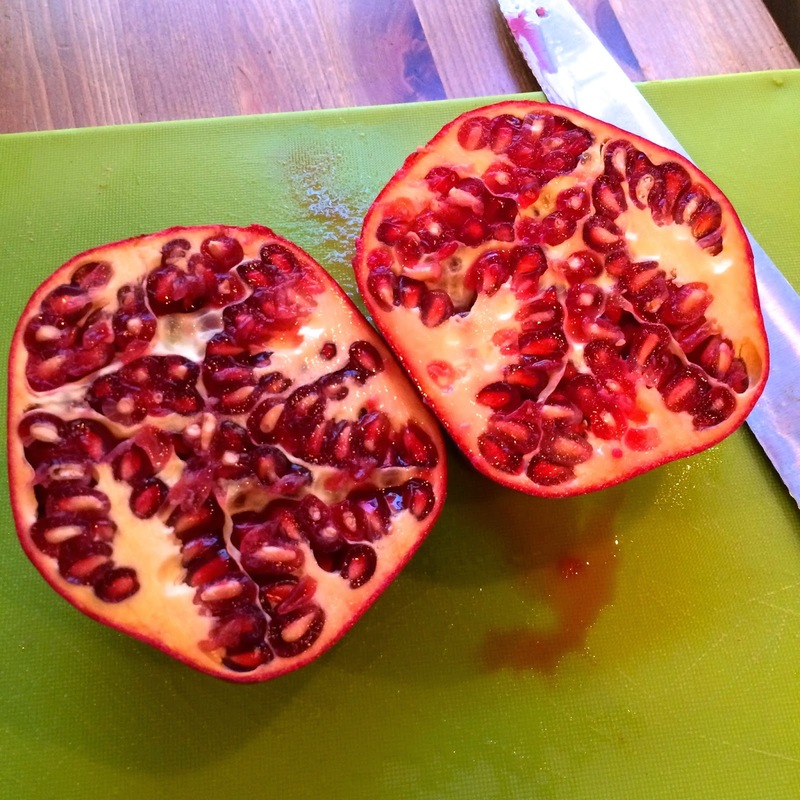 So, push the center of the pomegranate towards the cut side. 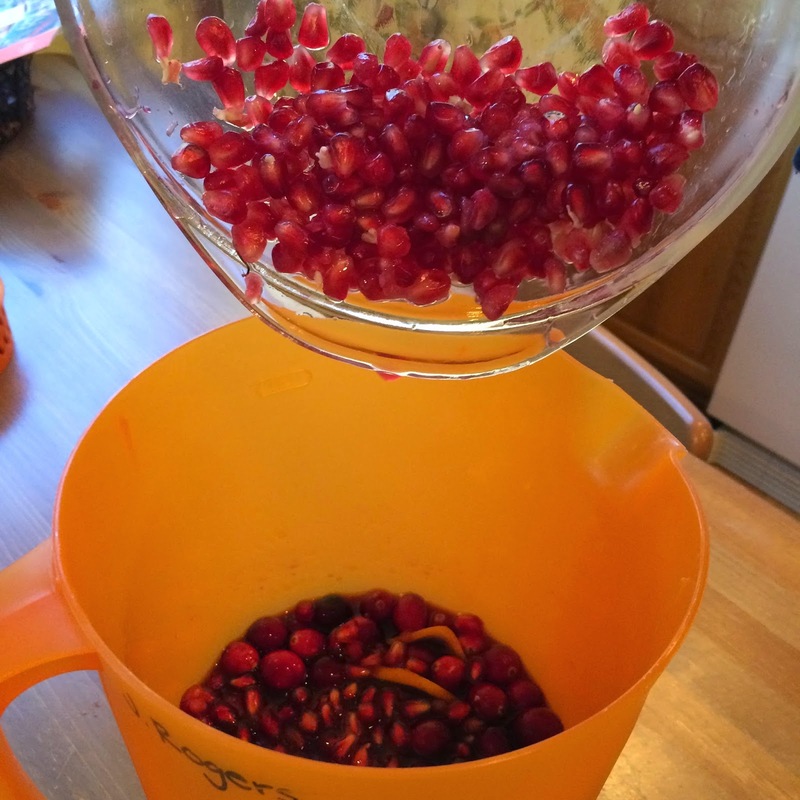 That will break it into pieces and make it easier to pop the seeds out. 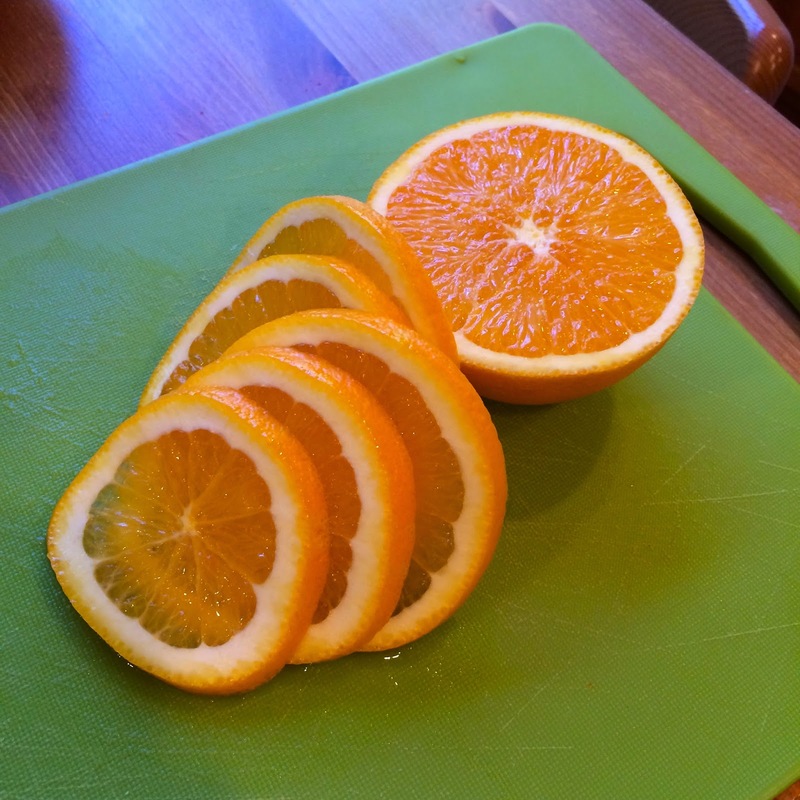 I've seen YouTube videos to hit the back of it with a spoon…. but that didn't work out so hot for me. 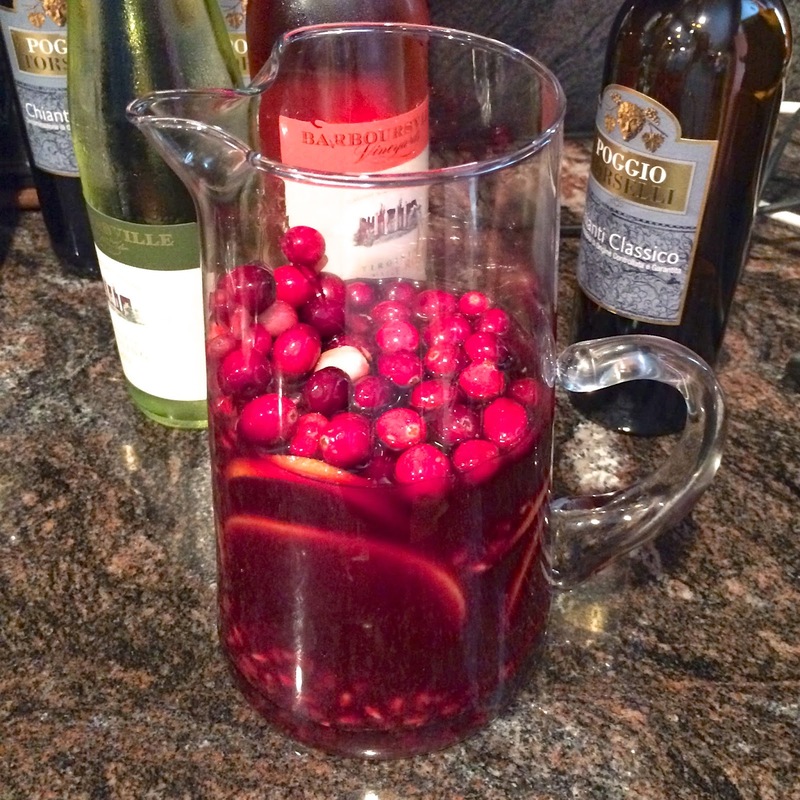 I mixed everything in a plastic pitcher to transport it to Thanksgiving before serving in a nice glass pitcher. Managed to snap a picture before it was all gone!! It was such a hit!! Doesn't it look pretty (and match wonderfully with my nails hehe)? So simple!! !